VH-VKA operating under the very appropriate flight number, JQ7878, will depart Paine Field, Seattle on Monday on its delivery flight to Melbourne. The aircraft will overnight in Honolulu enroute, before departing Tuesday to Melbourne for its planned arrival on Wednesday, where a welcome ceremony will take place in Jetstar’s Hangar 141 at Tullamarine. For the remainder of October VH-VKA will undertake Civil Aviation Safety Authority (CASA) certification and crew familiarisation flights, as well as presenting to Qantas Group employees at a number of open days. Jestar’s second 787-8 VH-VKB is currently undertaking test flights from Paine Field before delivery in November. The third 787 -VKD will join the fleet by year end. 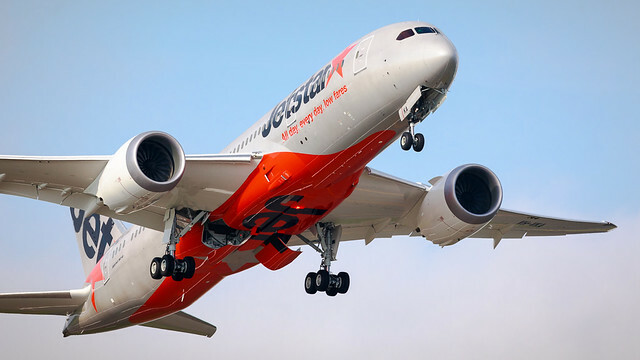 Jetstar’s 787-8 will have the highest density configuration of any operator to date with 335-seats in a two-class 21 business, 314 economy layout. 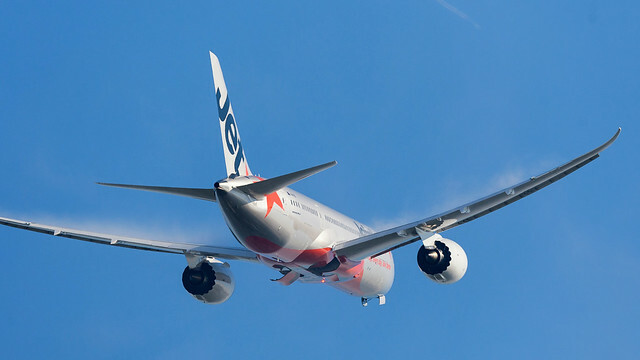 The delivery of VH-VKA this weekend will mark the end of a protracted eight year wait for the Qantas Group. Qantas originally ordered 65 787s in December 2005, followed by the cancellation of firm orders for 15 787-9s in June 2009. Then in August 2012 the Group cancelled firm orders for another 35 787-9s. Finally in January 2013, a single 787-8 order was cancelled. I’ll be keeping this story up to date over the next few weeks, and there is plenty of pictures to come with an invite to play with VH-VKA in the hanger in a couple of weeks. Stay tuned!